If you happen to have the attention span of a goldfish, keeping a track of your daily calls can be a mammoth task. For the forgetful bunch out there, Microsoft has created a contacts app to make sure that you never forget what you want to talk about. Microsoft Connections app is the ultimate call reminder that helps you remember the things you want to talk about. 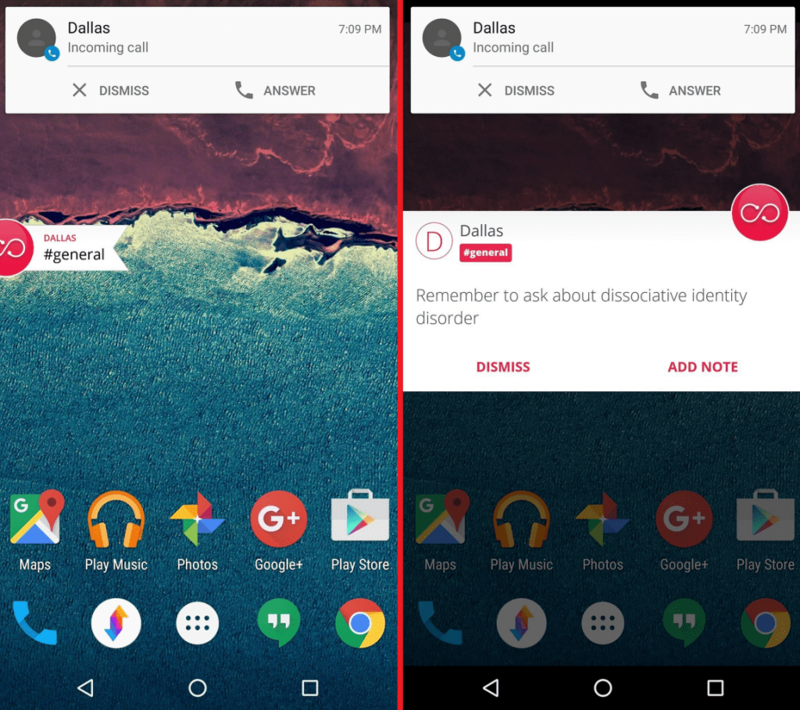 The call-based reminder app allows you to always stay on top of things when someone calls you. You can set up Microsoft Connections app to automatically pop up every time a particular contact calls you. For instance, you can note down all the things you want to about to your boss, and when your boss calls, the reminders will pop up on the screen. 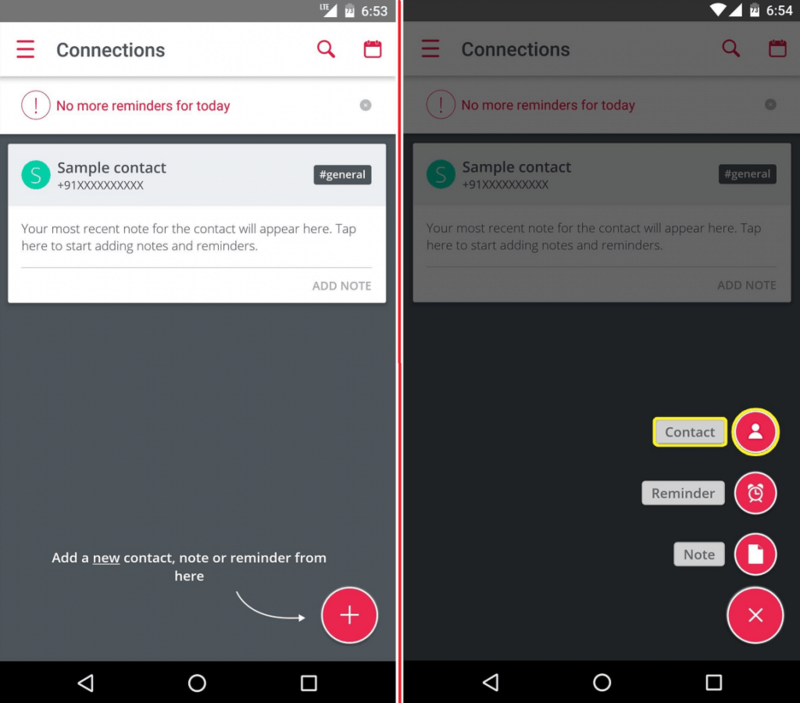 The contact-based reminder app by Microsoft is named “Connections – Call notes”. Simply look up the name on the Google Play Store or download the app using the link below. If you cannot see the Microsoft Connections app in the Google Play Store due to regional restrictions, install the app manually. Download the Microsoft Connections .APK file down below and install it directly to your Android device. Launch the Connections app and browse through the feature tour before you can add contacts to the app. 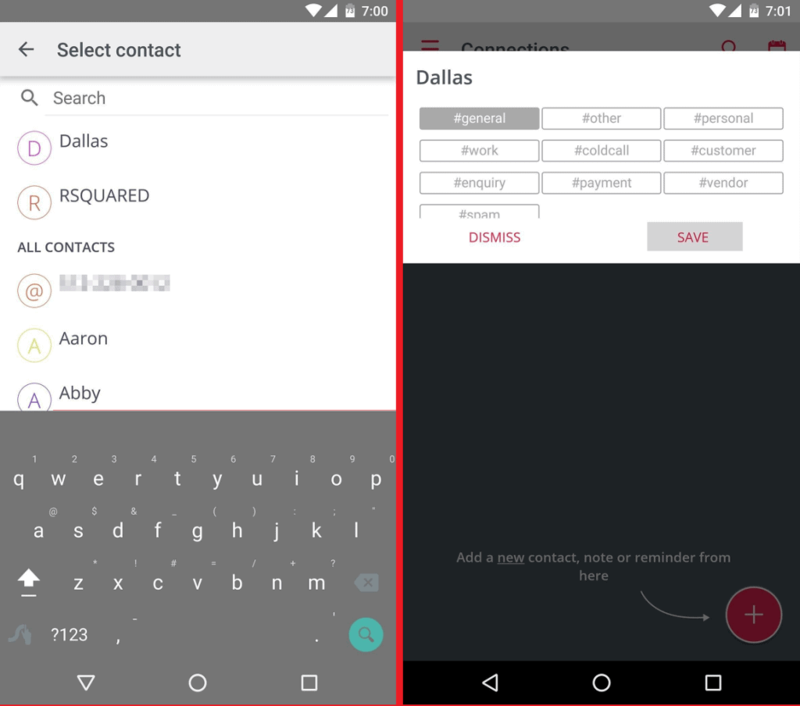 From the main menu screen, add your favorite contacts that you will often be using to set call-based reminders for. To do so, press the floating “+” icon at the bottom and tap on “Contact”. Select a contact from the list and then use the app to categorize the contact (#personal, #work, #customer etc.). Hit the “Save” button and then repeat these steps to add more contacts to the Microsoft Connections app on your device. 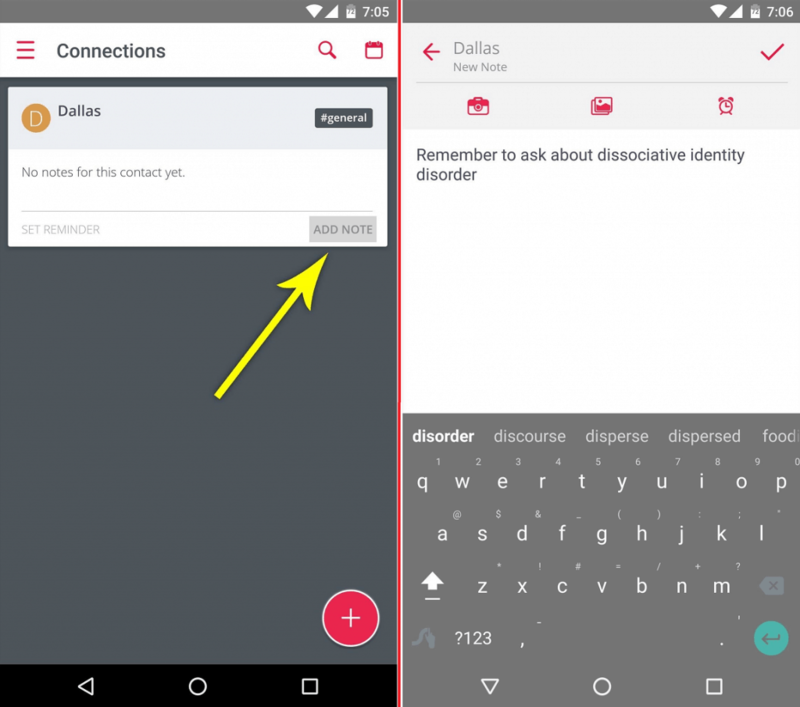 Open the Connections app and press “Add Note” under the contact you have added to the app. Type in the reminder you want to view the next time the specific contact calls you and hit the “check” button to save it. The next time one of your selected contacts calls you, you will be able to see a floating icon on the left corner of the screen. Tap on this contact bubble to view the reminder you have saved for the contact, so you never forget all the important things you have to say. Moreover, you will also receive a similar notification bubble from the Microsoft Connections app when you receive a text message from the specific contact. There are couple other cool preferential settings you can tweak around within the Connections app. What are your thoughts on Microsoft’s new image as a dedicated Android app developer, rather than a competitor? Let us know in the comments section down below.